A set of 3 bottles (1 oz. 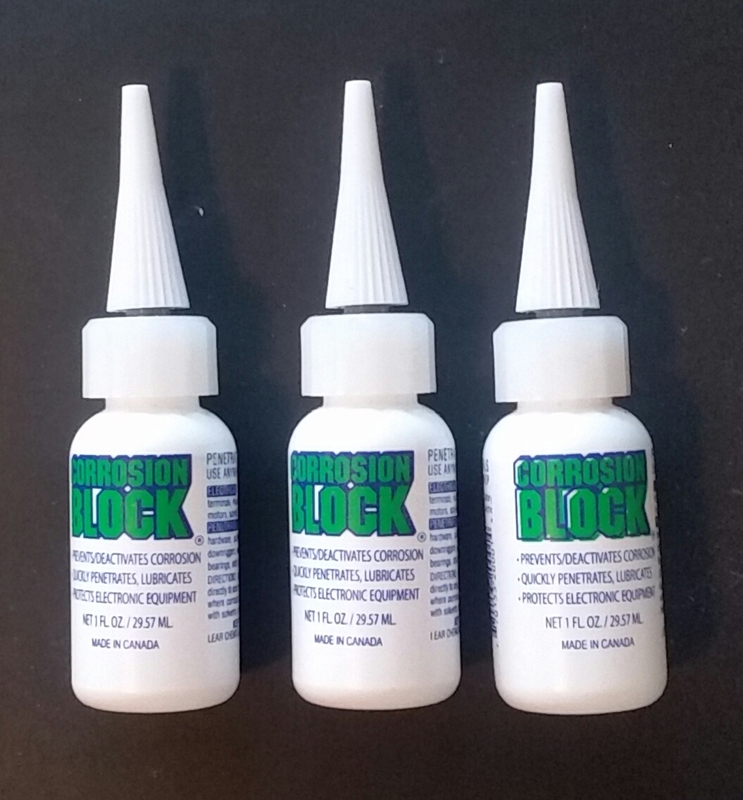 each) of Corrosion Block liquid in a convenient form for small jobs or for places where you need to insert a small amount of CB. Simply snip off the end of the tube and apply CB as needed.